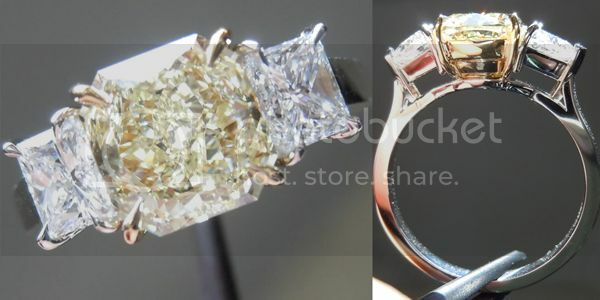 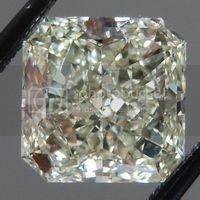 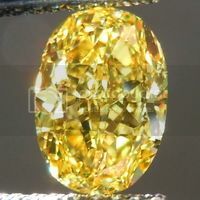 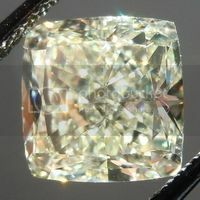 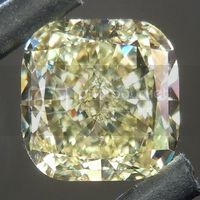 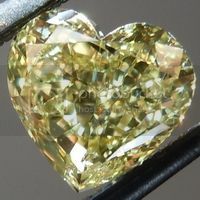 Here is a very pretty Fancy Yellow radiant cut diamond. 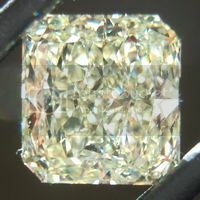 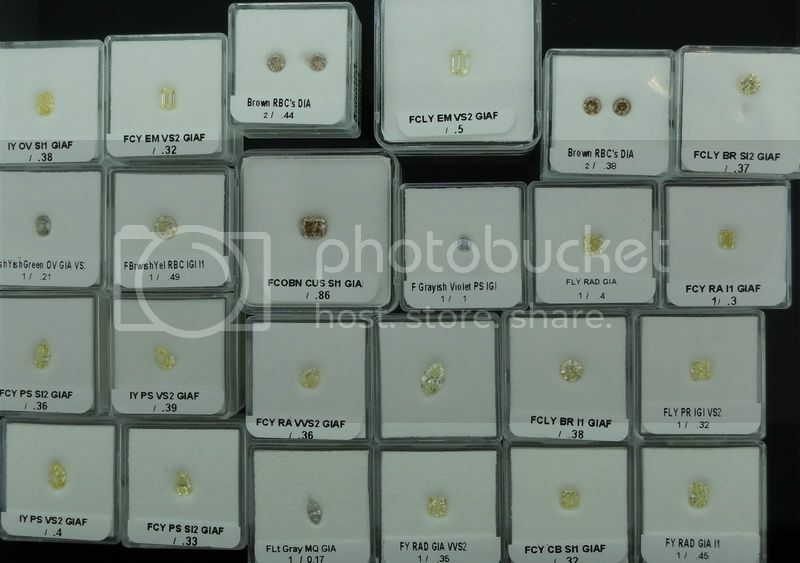 It is indeed an SI2 clarity diamond. 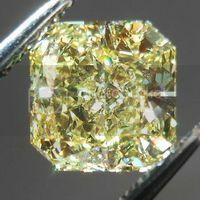 However, the imperfection is very difficult to see due to the amazing sparkle, and the fact that it's not black carbon, so it does not stand out. 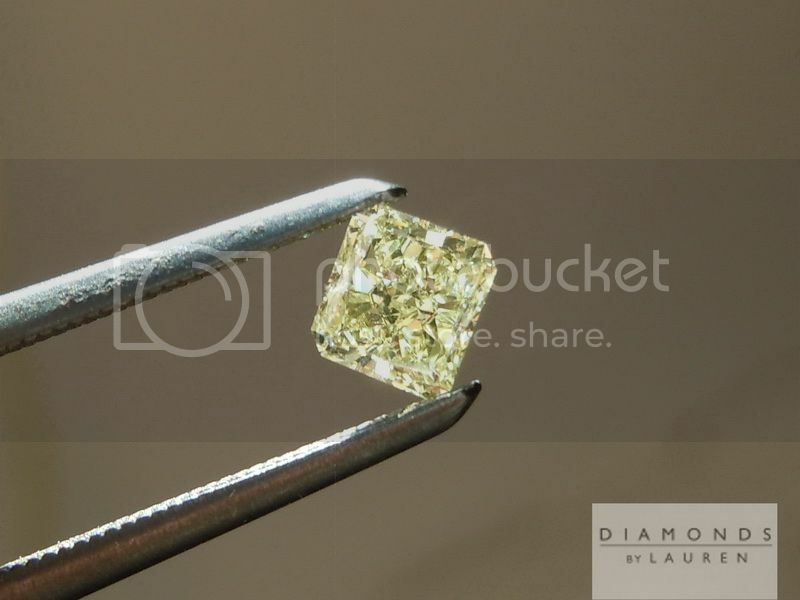 Plus, it's a pretty small diamond. 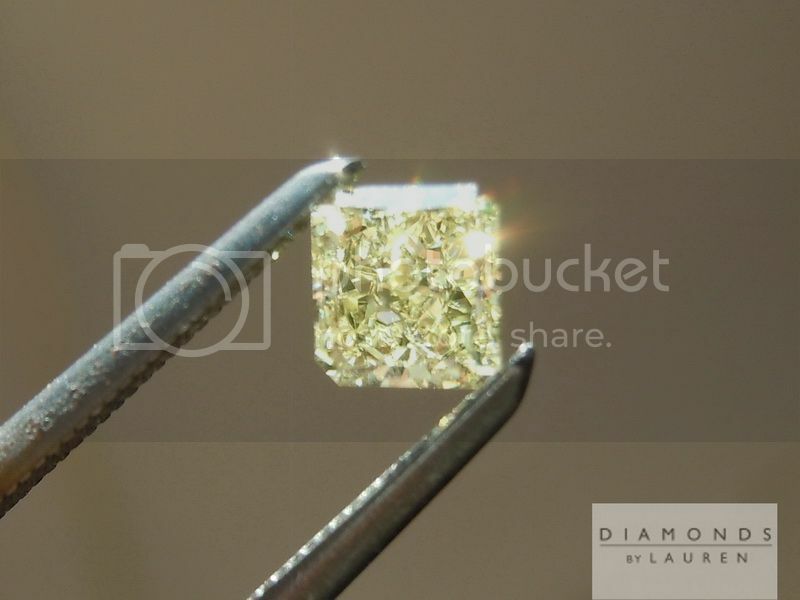 It sure does pack a punch, though. 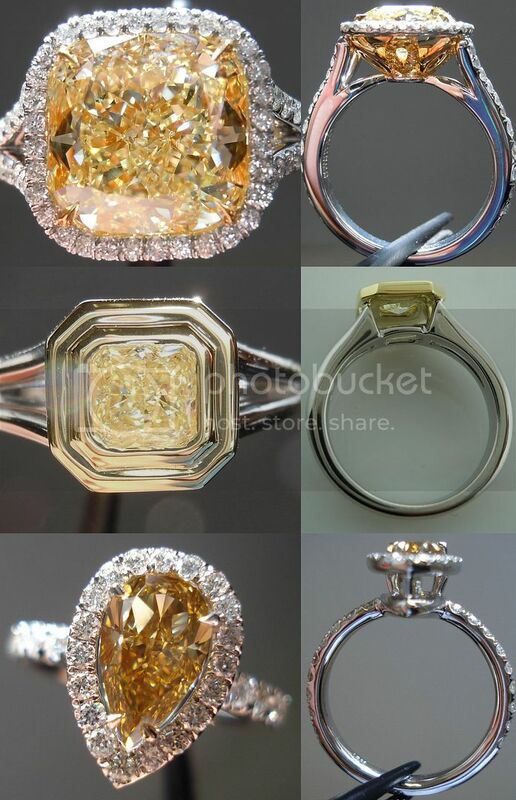 I love this color, I love the sparkle. 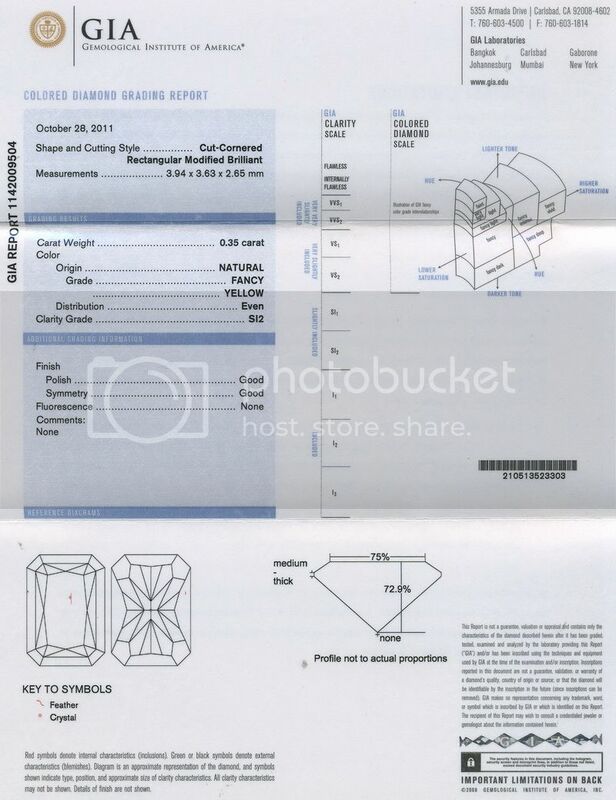 A good savings due to the fact we bought so many diamonds at one time.